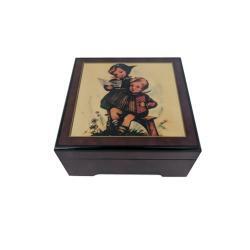 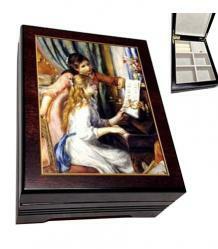 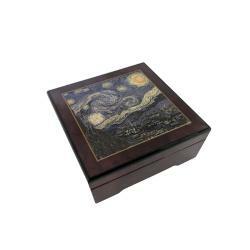 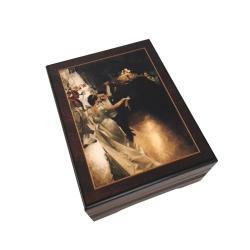 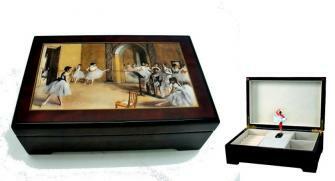 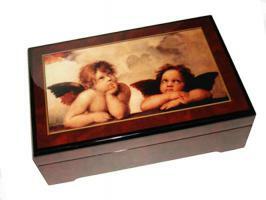 Decoupage is an art of decoration whereby an object is covered by colored paper cutouts (in this case, artists' prints on fine European music boxes) with special lacquer or varnish and possibly trimmed with effects such as gold leaf and other decorative elements. 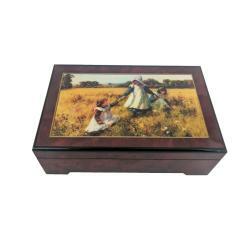 Each layer is sealed with multiple coats of varnish until the result looks like painting or inlay work. 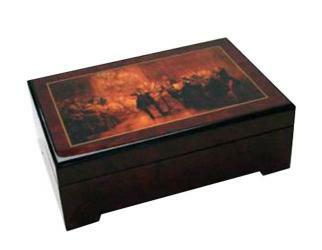 The traditional technique uses 30 to 40 layers of varnish or lacquer which are then sanded to a polished finish.